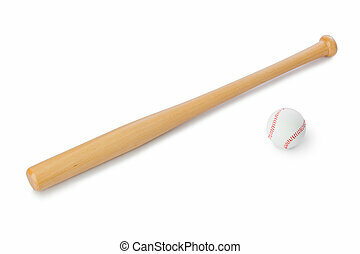 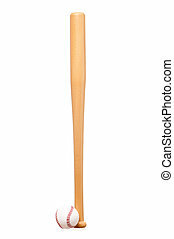 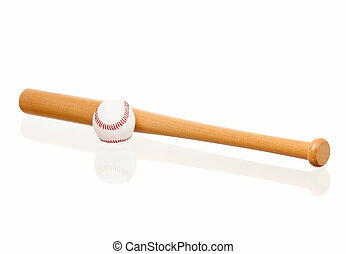 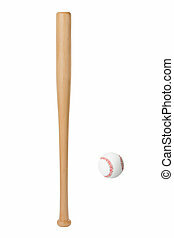 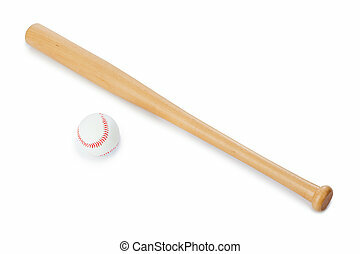 Baseball bat and ball. 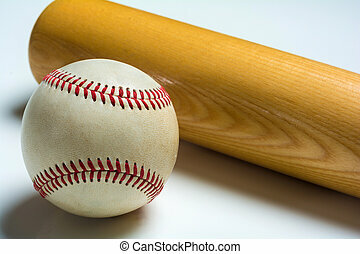 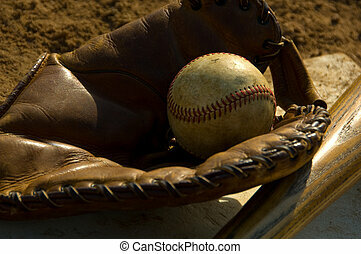 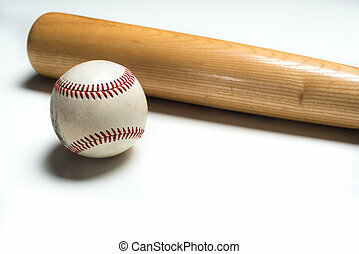 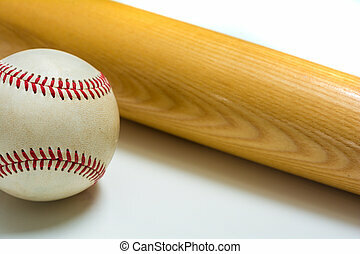 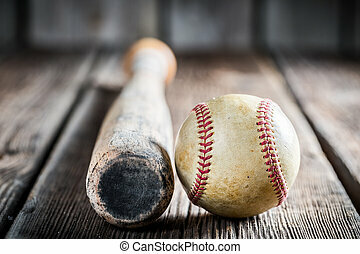 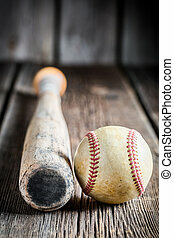 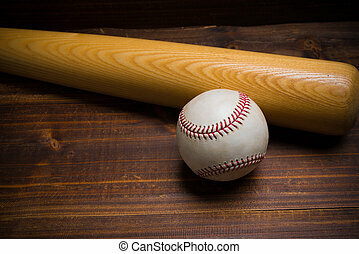 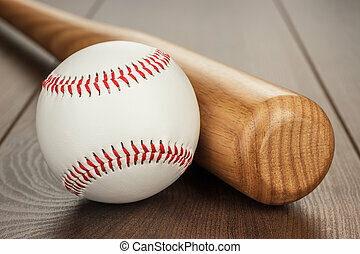 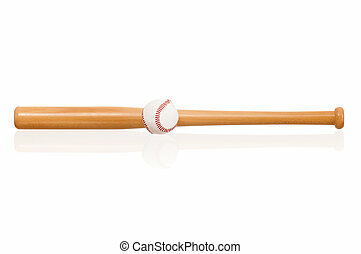 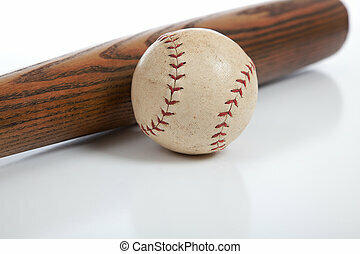 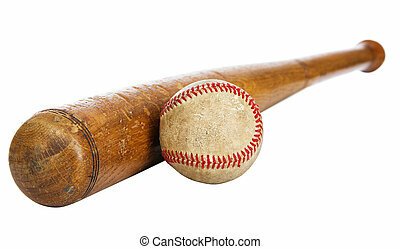 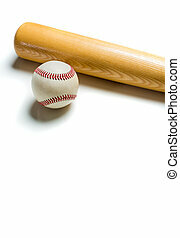 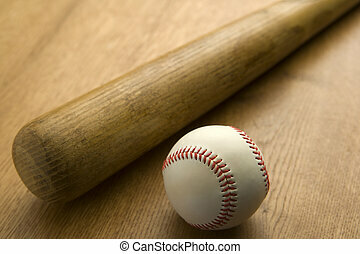 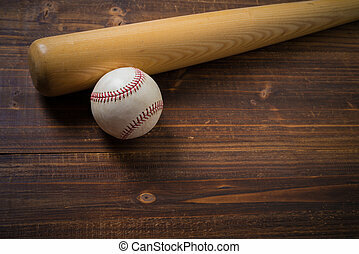 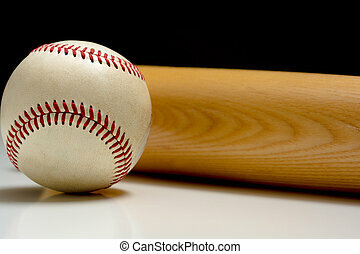 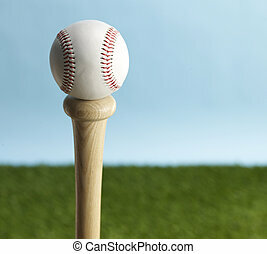 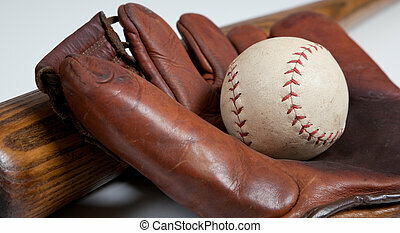 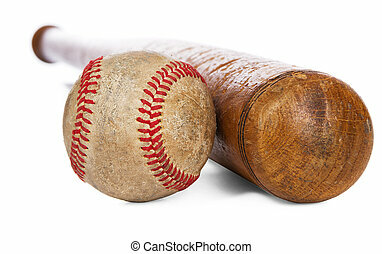 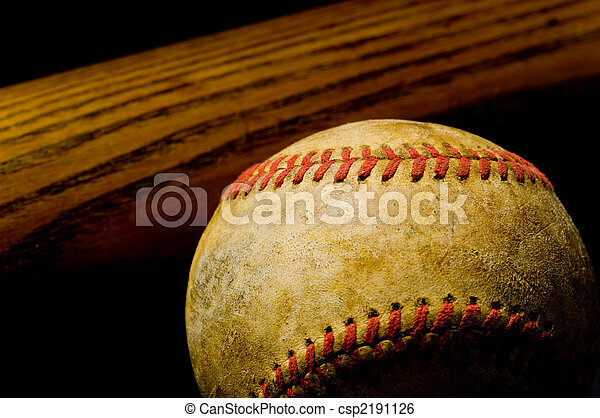 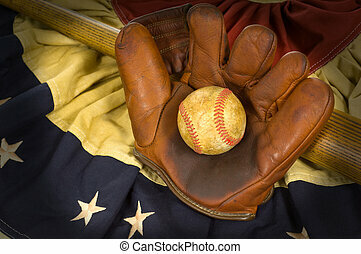 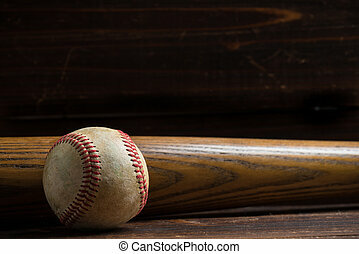 Vintage or antique baseball bat and ball - great for background. 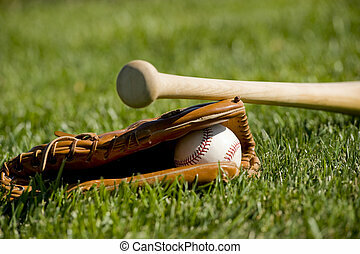 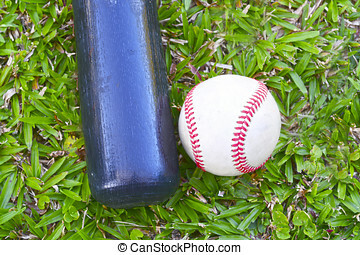 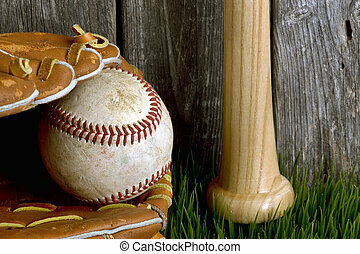 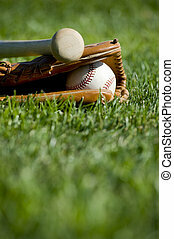 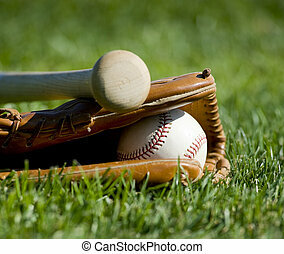 Baseball ,bat and ball on green grass.